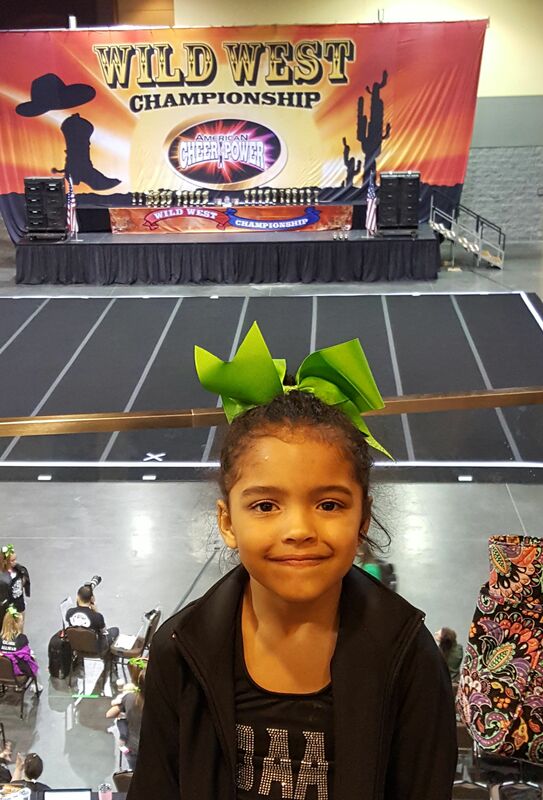 Today my little angel was at the Wild West Cheer Competition! Her team was awesome! My daughter is Tielena, on the right, her BFF Haley on the left. The competition was tough, there were a lot of teams there, and her team out of 6 on her level won 2nd place, trophy, medal, pin and all! 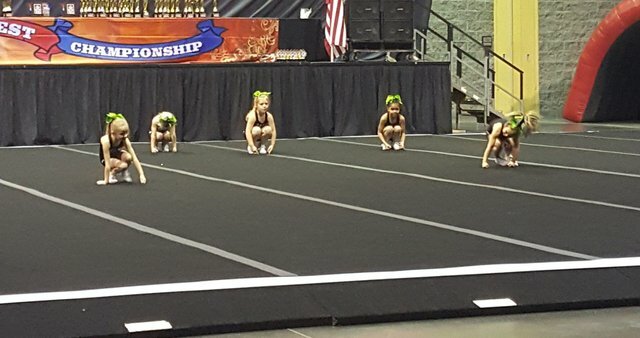 In Jan her team won 2nd at a bigger competition down in Little Rock, AR. They are working their butts off to be awesome, positive, great students, great friends and great roll models. Their positivity and smiles are enough to brighten every day like a million suns. When you insert a kid into this, very expensive, sport, it changes their lives. 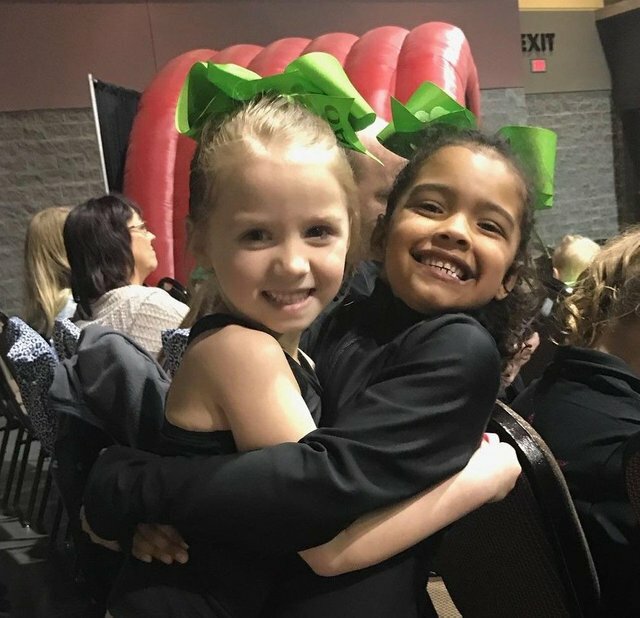 They now have a new set of friends that are striving to be better, striving to be happy and positive, dancing, competitive and working toward a goal! Very expensive. I must say that the bulk of expendable income goes into this sport. Last year the average cost of keeping her in uniform, classes, competition fees, travel, hotel rooms, food and sneakers, ran about $600/Mo. I could choose to only do competitions close to home, maybe save $200 a month, but this would leave her out of the teamwork she has put so much effort into. I bite the bullet and cut costs in other places. She is so worth it! Well please up-vote and follow if you like my content. I will continue to post similar articles on plants, homegrown foods, gardening and homesteading ideas. Again thanks for dropping in. Remember that this is not medical advice nor do I prescribe anything to anyone. This post is for educational purposes only. Your body is your temple, treat it well. Have a great garden! This is an awesome example of great parental encouragement and support! Tielena and her team are reaping the rewards of hard work and loving parents! Congratulations! Well done!!! Thanks! We are looking forward to the next competition, again in Branson, in April. I have to say, as well, her coach, Mrs. Christy is a huge part of her success! OAA all the way! I remember football for my boys and cheerleading for my girl. It does get really expensive. But it was good for them, especially as homeschoolers. It gave them more opportunity to be around their peers. And I think there's a lot to be said for learning teammanship, sportsmanship, leadership, how to win graciously and how to lose graciously. 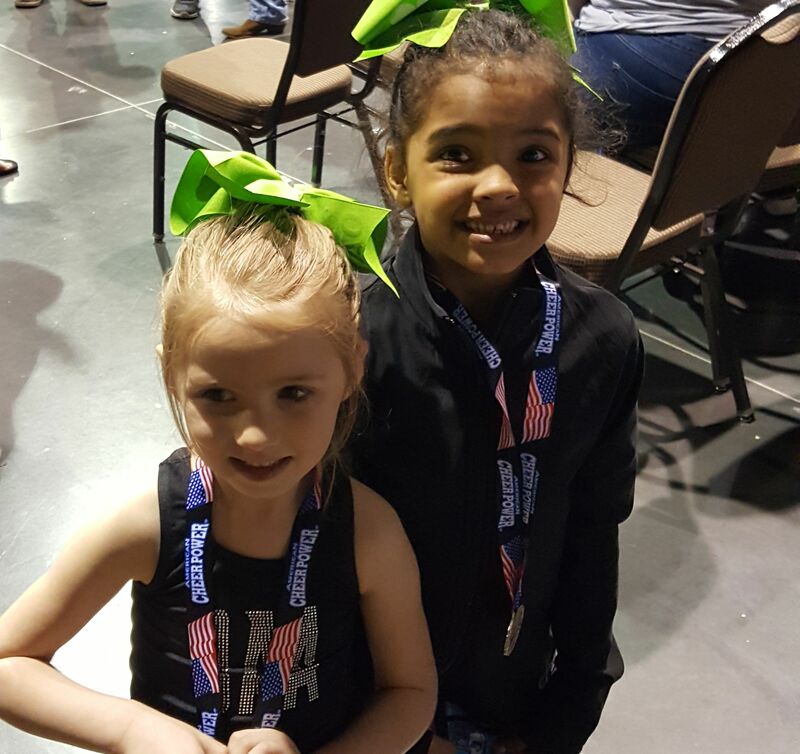 Congrats to Tielena, her BFF and her whole team on the second place win! I am so excited for her! We went and had Chinese after to celebrate... uggg bad move... feel like I ate three bags full of wet bread.